With the online fundraising campaign, a total of 15,300 EUR could be raised for various aid projects this year. Primavera is very happy about the 2,500 EUR, which help us to support children in the slums of the third world even better in the coming year, helping them to build a better future for themselves. 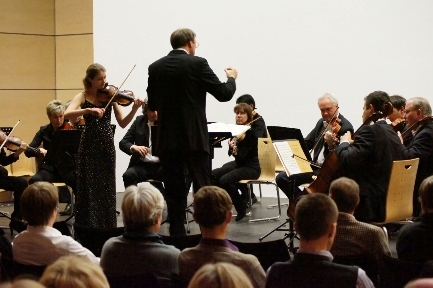 At the invitation of the Bosch subsidiary Bosch ETAS GmbH, the Bosch String Soloists appeared on 21 November in the Auditorium in Feuerbach, with works by Vivaldi, Bach and Warlock. The audience was thrilled by the high technical and artistic level of the ensemble, especially the two violin concertos by Vivaldi and Bach. The 18-year-old soloist Rosa Nießling enchanted the audience with a beautiful tone. Primavera is pleased with the outcome of the evening, donations amounting to 1,706 EUR and is grateful for the support of ETAS GmbH, all the musicians and organizers. Under the motto "experience sports and community", the employees of Bosch Rexroth were running for a good cause. For every completely run kilometer, the company spent 1 EUR. 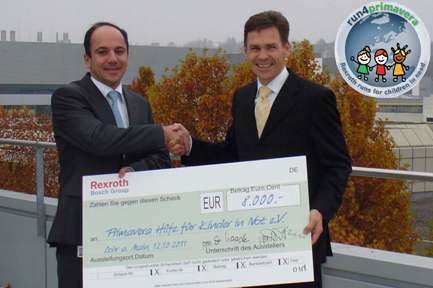 'Run4primavera' resulted in a total donation of 8.000 EUR, which was accepted thankfully by Mr. Kübel, on behalf of Primavera! 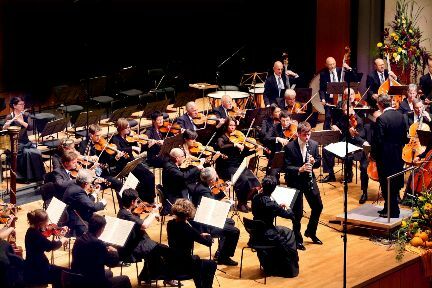 With a diverse program - including Strauss, Verdi and many more - the Bosch Symphony Orchestra thrilled the audience at Waiblingen. The clear highlight of the evening was a clarinet concerto by Wolfgang Amadeus Mozart. At the last anniversary concert of the year an outstanding 4.500 EUR were donated ​​ in favor of Primavera. Many thanks to the Packaging Technology Division and Mr. Katzenbach for the great organization! Cezara-Lucia Vlădescu started playing the piano at the age of three years and was admitted to the conservatory in Karlsruhe already at the age of 14. In 2006 she gave her deput album on the Carnegie Hall. As a solist she already has been on stage in Romania, Austria, Germany, Italy, Sweden, France and Brazil. At the charity concert, organized by the Bosch Division Automotive Aftermarket in Karlsruhe, the soloist impressively demonstrated her musical abilities. With classical works by Bach, Ravel, Chopin and her own compositions and arrangements, the brilliant pianist also showed a lot of compositional creativity. Her performance was passionate, inventive and diverse. The visitors were impressed and rewarded the excellent artist with a great applause! Our thanks go to the Automotive Aftermarket, the artist and the guests for donations of 1000, - €. Due to the 125 years celebration, Robert Bosch Spain together with the Robert Bosch factory organized an Experience Day at the Madrid location. Employees and their families were invited for German food and a number of activities like the visiting tour through the sensor production of Bosch AA, PT, ST or TT and other games. Additionally, a tombola with Bosch products was organized. Thanks to the 3.000 guests, 2.250 EUR could be raised, which were sponsored to Primavera completely. At the jazz concert at the Bosch Haus Heidehof, one could listen to the spirited sounds of the Bosch Jazz Orchestra, in short called BOJO and leave the daily stresses behind for a while. Admission to the concert was always free and visitors were kindly asked for donations to Primavera. The donations were generous and provided 2.117 EUR in favour of Primavera. Our thanks go to all active participants and guests who donated. A total of two hundred guests came and thus this musical event was booked right to the last seat. The performance of the BOJO was rewarded with great applause and several encores followed. 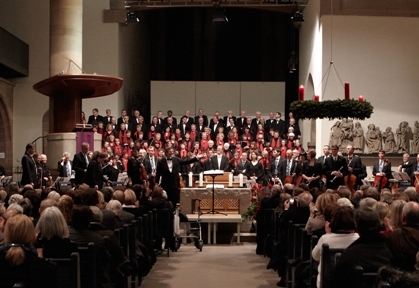 Following a good tradition, 2011 was completed with the Quempas singing in the Stiftskirche Stuttgart. All proceeds from ticket sales on the first day of the event were donated to Primavera. Conductor Ulrich Walddörfer had assembled this year's gala concert of selected pieces and carried out a contemplative and impressive musical evening. Main theme of the evening was, naturally, the choral Quempas, the core of festive singing of past centuries. The "The shepherds praise sorely" was voiced from all corners church out before the choir and audience agreed. "Oh Holy Night" was the finale sung by four choirs, joined by the audience in the packed church. It was a moving and emotional concert of the highest class! Donations to the account of Primavera were 11,430 EUR - a great result! Just in time for Christmas, there was another concert of the Bosch Jazz Orchestra in the Bosch Heidehof house. The orchestra having the nickname BOJO did invite to leave everyday life behind for a while. The 200 listeners were totally excited and thanked Orchestra and soloists with long-lasting applause whereupon the Orchestra played the title "Santa Baby" as well. To everyone's surprise, the Nikolaus turned up and gave some thoughtful words about advent to the audience. With the song "What A Wonderful World" a beautiful and glamorous evening ended. The donations of the guests were extremely generous and so Primavera received 3.763 EUR. Special thanks to the organizers of Bosch junior managers programme and the entire orchestra!